Rebuild Lakeshore is excited to partner with the Mississippi Baptist Convention. 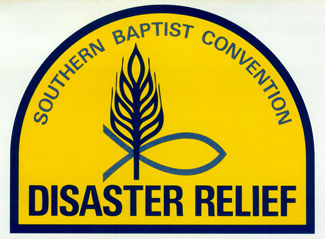 We will host the 2016 Regional Disaster Relief Training, February 27 at Lakeshore Baptist Church. If you are part of a Southern Baptist Church in Mississippi, we would love to see you. Being trained will prepare your church for mobilization in the event of a disaster. Training will include the “Involving Southern Baptists in Disaster Relief” seminar, and then break-out sessions covering Feeding, Chainsaw, Chaplaincy, Childcare, Mud out/Tarping/Shower trailer, and Basic Assessment. Training will begin at 8:00 am. The cost is only $7 per person which covers a background check and ID card. Yellow hats and T-shirts will be available for purchase. For more information contact Don Gann, Men’s Ministry/Disaster Relief director with the Mississippi Baptist Convention (601-292-3339). If you would like to spend the night with us, Friday and/or Saturday, the Rebuild Lakeshore Bunkhouse is available.